Isn’t is amazing that just because something is featured in a “Holiday” catalog, it doesn’t necessarily mean that you have to use it for holiday projects ONLY! This blog hop is going to introduce you to all the other things you can do with these products… ALL projects that have nothing to do with the Holidays. No Halloween! No fall! No Thanksgiving! No Christmas! No Hanukkah! etc. There will be ANYTHING BUT how you might expect to use these great Holiday Catalog products! So, Welcome to the Anything but the Holidays Blog Hop! You are currently visiting Joanne Cantrell here at the very bottom of Southern Illinois in the middle of the United States! Now, I saw the above card somewhere – maybe Pinterest or maybe Facebook… for the life of me I cannot find it again to give credit where credit is due. It was not my own design. I CASE’d it from someone somewhere… If that was you, please let me know! 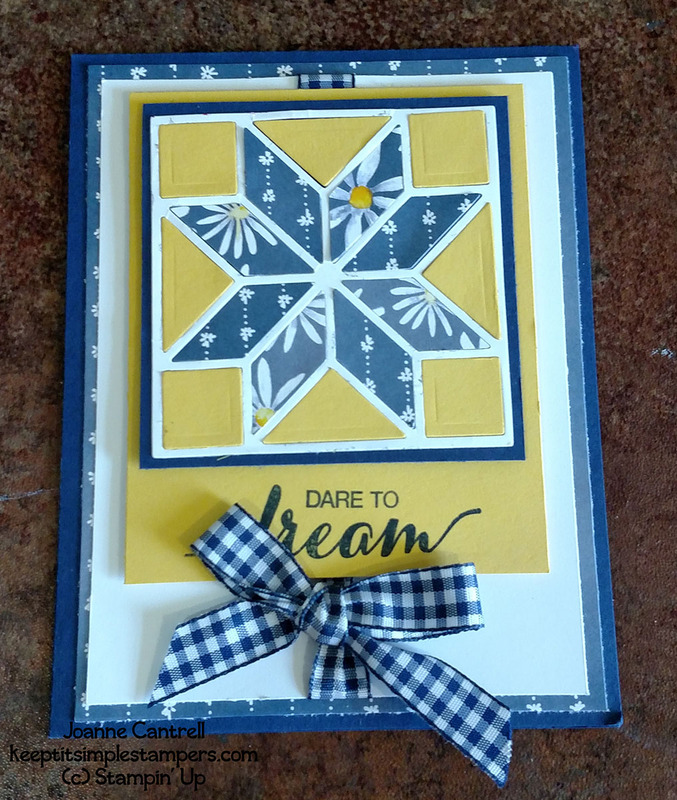 That being said – the card above screams anything but Christmas, but it uses the Quilt Builder Framelits (144673). These Framelits are part of the very first bundle in the Holiday Catalog and I can see using this set for so much more than just Christmas cards… can’t you? 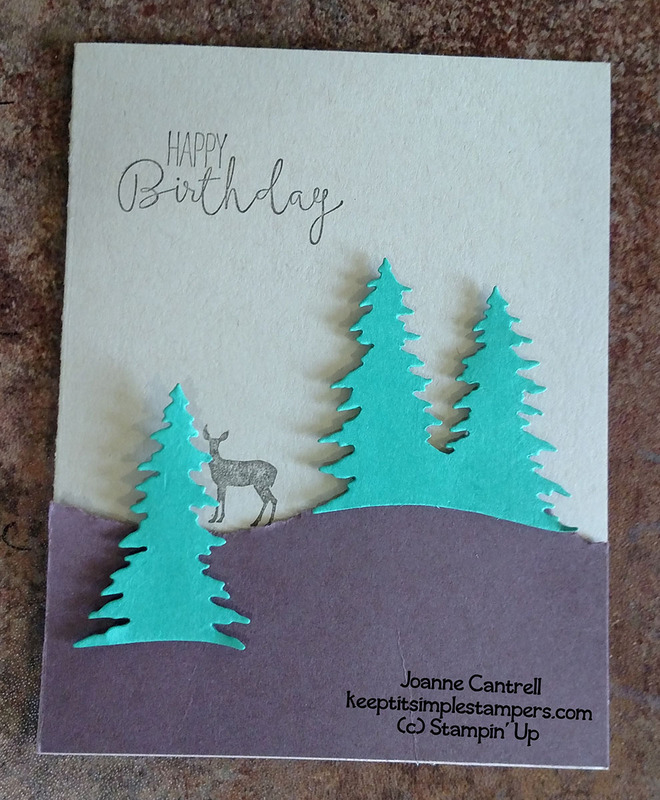 This card was a quick and simple card that uses the Card Front Builder Thinlits (144674). It’s easy to see how these can be used for masculine cards and more. 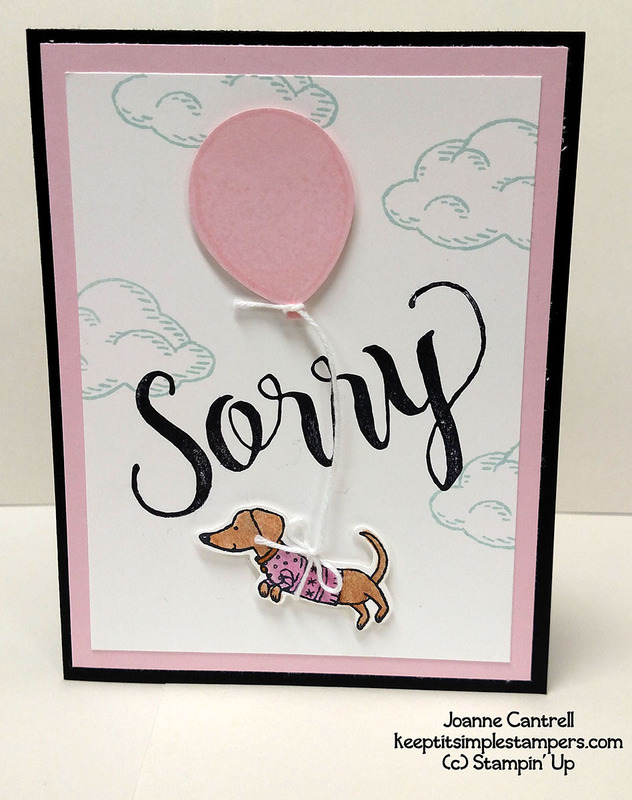 The above card was made for a sweet friend who lost her dachshund a couple weeks ago while in labor with six puppies. All were lost as well. So sad for her. Her dog was the mother of one of mine and was picked up at the same time that we went together to get my oldest dachshund. Needless to say, I wanted to brighten her day a bit and let her know that I was thinking of her. I took a cue from Bella & Friends (141870) in the Annual Catalog but used the little pup in the Ready for Christmas Stamp Set (144823) in the Holiday Catalog. The sentiment came from Sorry for Everything (143820). This set has the best sentiment for the loss of a pet. 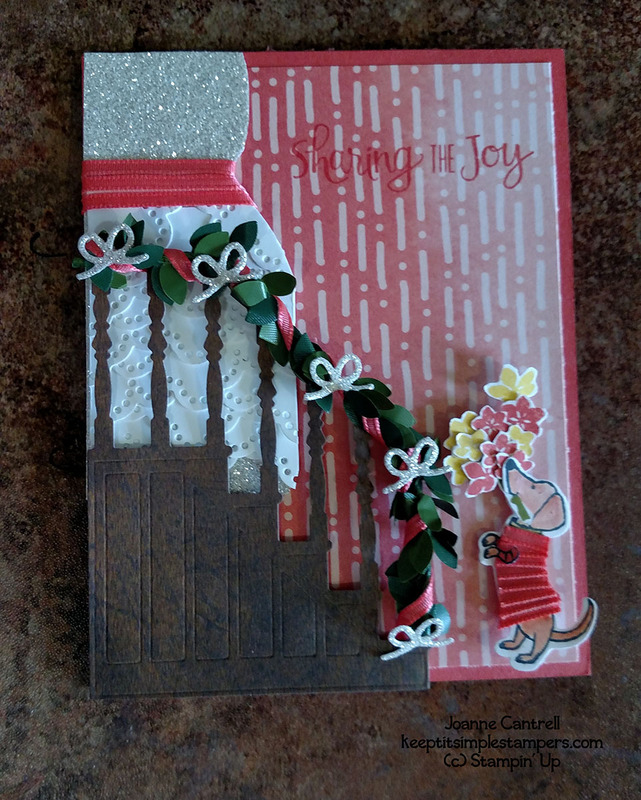 And, while I was at it, I used the cute little doxie on another card that has nothing to do with Christmas! This card also uses the Ready for Christmas set. But, it also uses the Christmas Staircase Thinlit Dies. I thought of a bride walking down the staircase with her faithful companion holding the bouquet for her. The wallpaper came from the Delightful Daisy Designer Series Paper (144137) which also gave me the Calypso Coral color scheme. The flowers are from the Colorful Season Stamp Set (143726). Around the staircase, I wrapped a Boxwood Wreath (144176) and some Calypso Coral 1/8″ Sheer Ribbon. I also used the ribbon for the belt on the dress and the dress on the pup. Speaking of the dress… Do you see that… I used the edgelit found in the Swirly Snowflakes Thinlits (144678) in the Holiday Catalog. I hope you have enjoyed what you have seen so far! What wonderful cards! I especially love the quilt, it is so versatile! Such a varied use of the Holiday Products. Thank you for the inspiration. Wow! All the cards are wonderful. Thanks for all the creative inspiration. Pretty cards. Especially like the Sorry card… cute. Way to go with such a variety of hop projects! That “flying” dog … oh SO cute! !